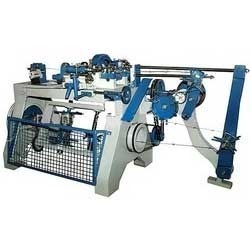 We are among the pre-eminent names of the industry that engages in manufacturing, exporting and supplying Barbed Wire Making Machine that can be acquired at industry leading prices. Manufactured in adherence to the predefined industry guidelines, these robustly constructed machines are vastly demanded. Offered selection is handed over within the promised time frame. Note: Due to constant improvement, we reserve the right to change / modify any machine.